This post is going to be broken up into two parts because I am utterly exhausted. Adam and I actually woke up before our alarm this morning—for anyone who knows me, this is an amazing feat—because we were eager to start our Tokyo adventure. We walked non-stop all day. First, we ate our buffet breakfast in the hotel while gazing out the window and watched as the locals headed to work, walked their dogs, and rode bikes outside. There were plenty of vegetarian options for me to sample, and Adam tried a few types of fish. It was a relaxing start to what turned out to be a very busy day. 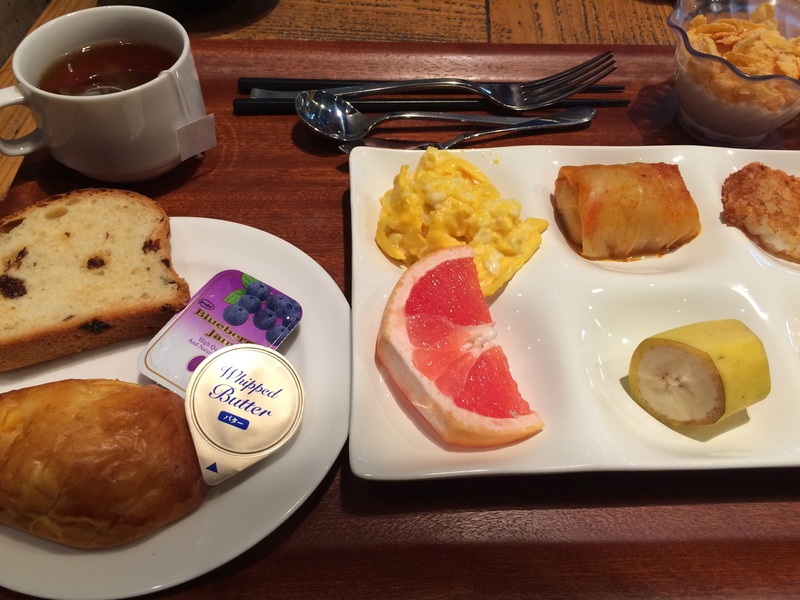 After breakfast we met with our personal tour guide, Endo Ayano, in the lobby and got moving. First she took us to a convenience store around the corner from our hotel so we could pick up a couple of items that we forgot to pack. Many stores in Japan are bright and colorful, and this one was no exception. You could buy any number of trinkets, makeup, and decorations. It was sort of a cross between Claire’s, a dollar store, and a Duane Reade. Also, much to my delight, many stores are decorated for Halloween this time of year. From what I gathered, the Japanese love holidays (and costumes!) and have fully embraced American Halloween. Afterwards we walked through restaurant row, which was actually filled with niche shops that sold items to restaurants. Some highlights include the store that only sold bowls, a knife shop, and the “fake food” store. 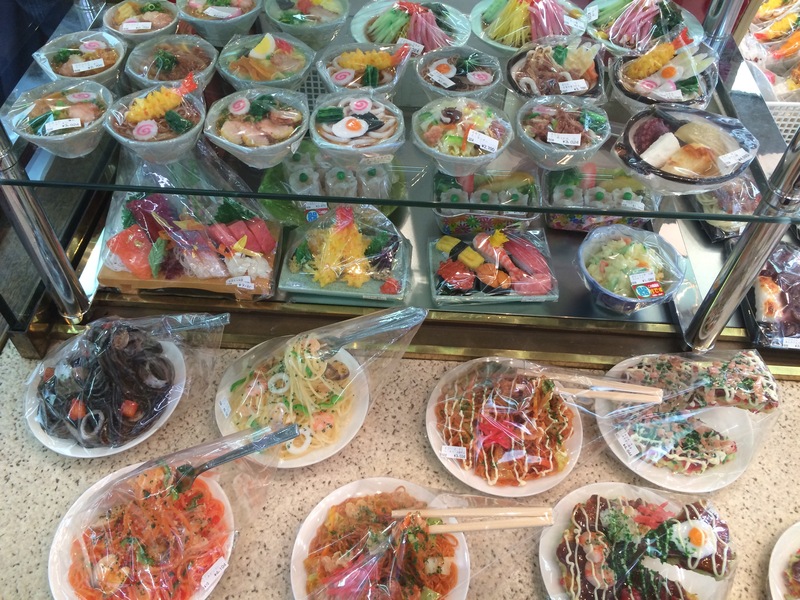 In Japan, it is customary for restaurants to have sample dishes displayed out front. 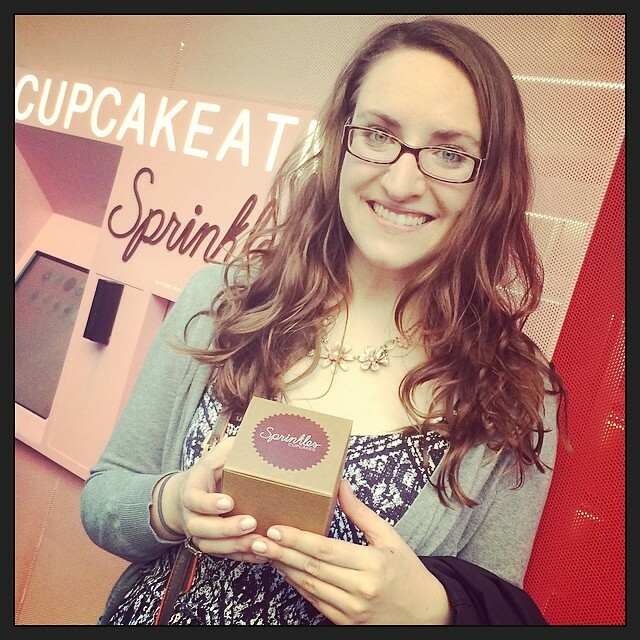 Even though the sample food looks good enough to eat, it’s actually made of plastic! This shop exclusively sold those plastic samples. Next we took the subway to the Imperial Gardens. 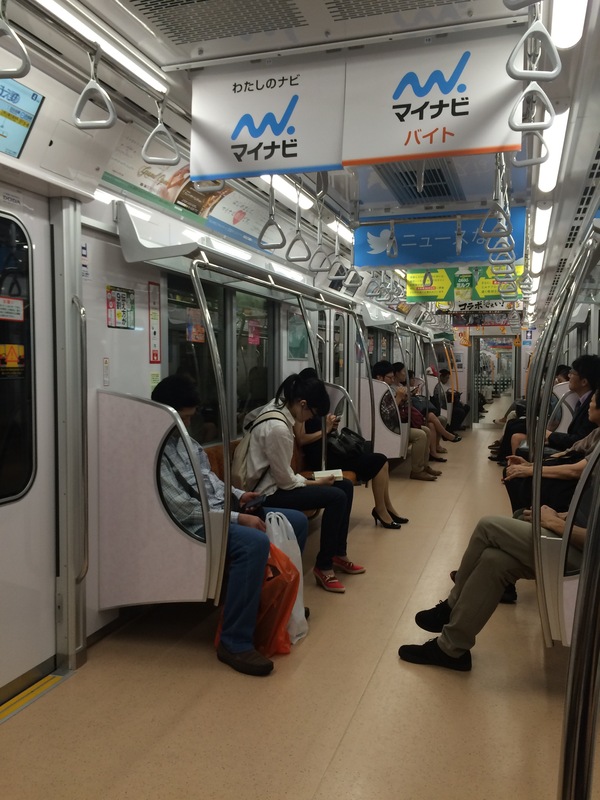 The Japanese subway system is much cleaner and easier to follow than the NYC subway. If there is any interest, I’ll happily write a separate post explaining this further. We’ve only used Japanese public transportation for one day, and I already prefer it to its NYC counterpart. The imperial gardens were lovely today, but they must be spectacular in the spring when everything is in bloom. I’d love to come back someday to see the cherry blossoms! 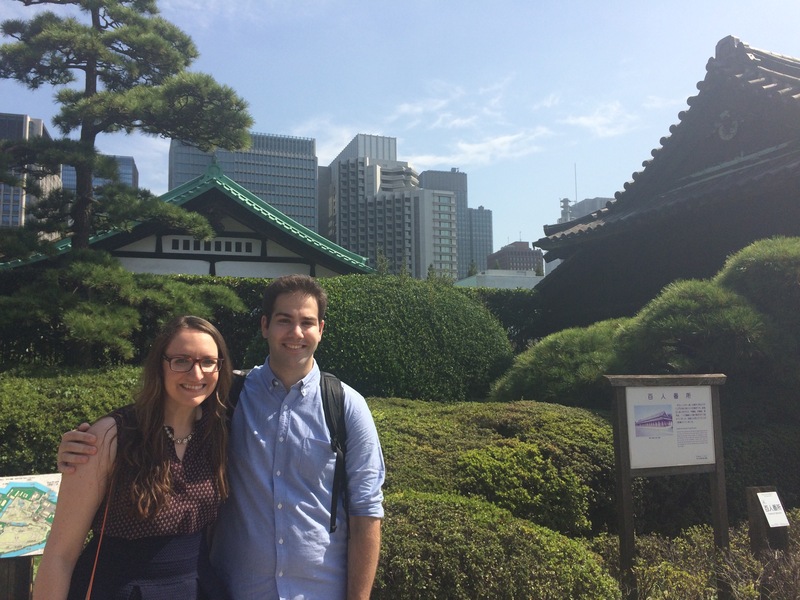 We saw the ruins of the Imperial Palace and toured the surrounding grounds. Much like Central Park, once you’re inside the gardens you forget that you’re still in the heart of a bustling city. We saw pine trees cut in the shape of bonsai trees, tea trees, bamboo, the palace moat, ponds filled with koy fish, and waterfalls. Look for part 2 soon! Tomorrow we are headed to Tokyo DisneySea! Hi Kim, I just read your blog, after recently following. I never thought of Japan, any time before reading this blog. But now plan to add it on to my list. The pictures are good. Thank you so much for reading! I had never really thought of visiting Japan either, but when I found myself there I realized how special a place it truly is. I hope you do get a chance to visit someday! I will need your advise on this and i will come back on that. Thanks.